We continue to pray for peace in the world, the stability of our families, vocations to the Priesthood and Consecrated Life, and reparation of sins against God’s love. 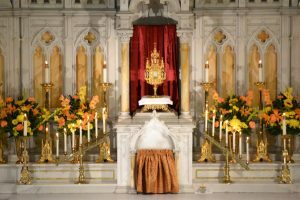 Can you spend one hour before Our Lord in the Blessed Sacrament? Please plan to attend!